Tag Archive | "Elvis Presley 5K"
This is the medal for the 30th Annual Elvis Presley 5K run that was held on August 11, 2012 in Memphis, Tennessee. I’m sure there were quite a few Elvis sightings that day. If you were fast enough to catch him anyway. 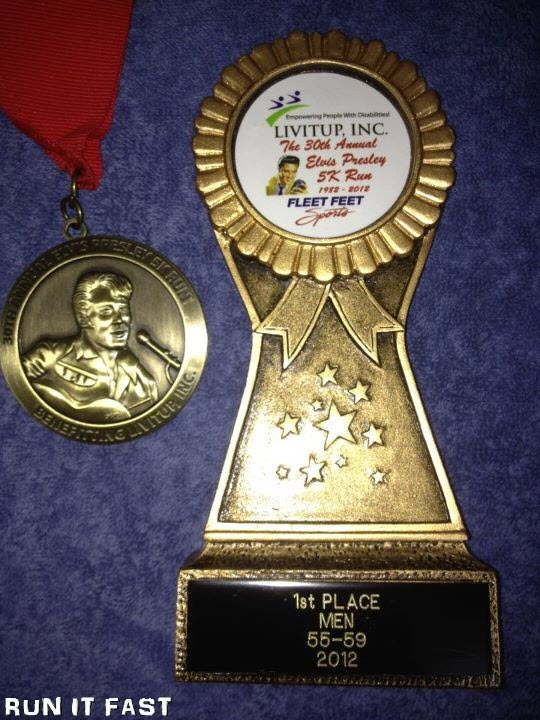 😉 Congratulations to RIF #33 Robin Robbins for winnig the Men 55-59 age group at the 5K!